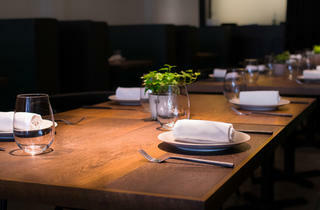 Dressed in monochromatic hues and outfitted with wooden tables and green centerpieces, dining is made organic at Sprigs. Lunch starters comprise of hearty soups like pumpkin carrot with chicken ($5.90) and comfort options like truffle nori fries ($6.90). 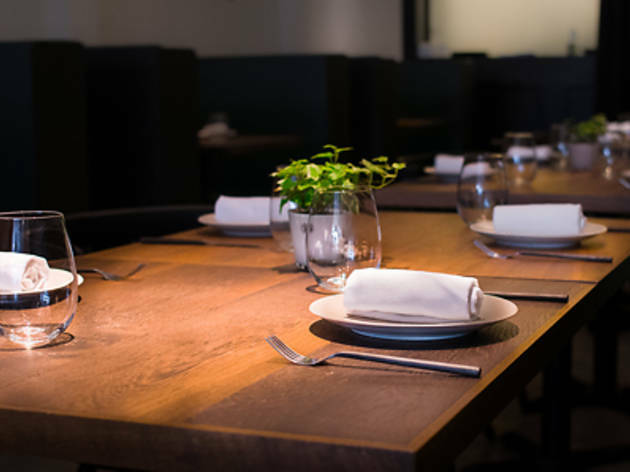 Separate lunch and dinner menu items range from forest mushroom tagliatelle ($14.90) and baked cod with saffron broth ($32) garnished with capers and kalamata olives, and a selection of French red, white and sweet wines ($52-$98) is on hand to pair with the elegant cuisine.